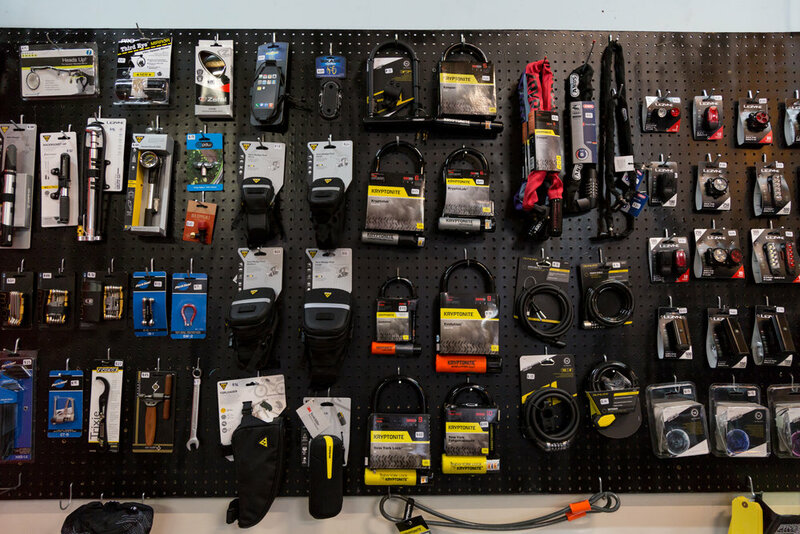 We carry all the essential bike parts, tools, and accessories to get you rolling. Make your bike truly one of a kind. Let us know how we can help! 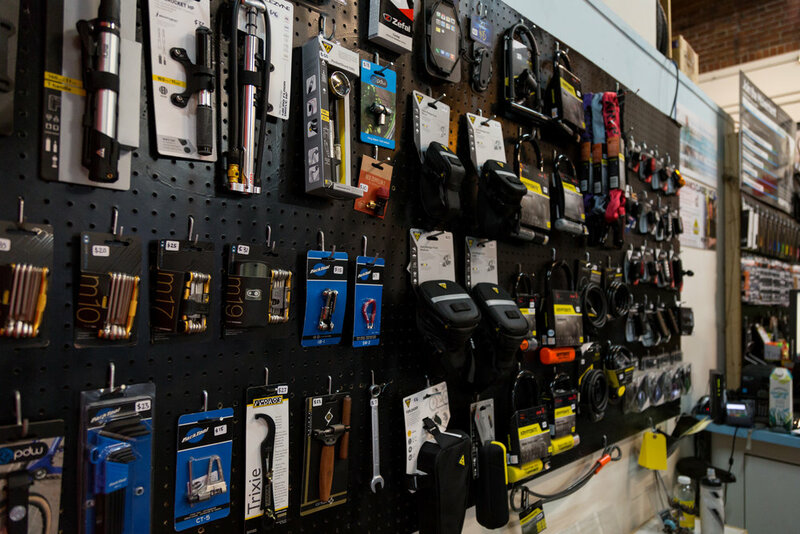 We carry all the essential bike parts, tools, and accessories to get you rolling and keep you rolling: lights, locks, bags, pumps, saddles, helmets, bar tape, bottles, pedals - you name it. We have all the parts and accessories you need to make your bike truly one of a kind. Don't see what you're looking for? Just let us know and we can order anything you need and can often have it in just a day or two.